It was in the Secret Love one-shot. It took place on the part of Battleworld where an Inferno was raging. It concerned Karen Page and Matt Murdock. When Daredevil became his own fake twin brother. Keep in mind, he kept this up for seventeen issues. This was before decompression. 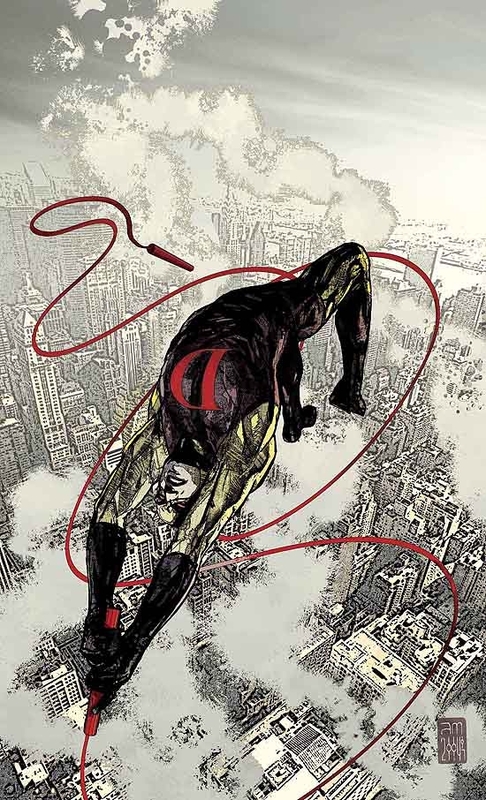 DAREDEVIL #350 concluded J.M. DeMatteis' brief but important run on the book. Matt Murdock had a nervous breakdown (neither his first nor his last) and started running around in his old Yellow outfit. He then remembered accidentally killing a prostitute in Frank Miller's MAN WITHOUT FEAR series. Then Karen Page and Foggy Nelson found Matt, and Foggy was angry he never knew Matt was Daredevil. Then Stick showed up. Then Matt was in a graveyard confronted by three Daredevils in the three Daredevil costumes. J.M. 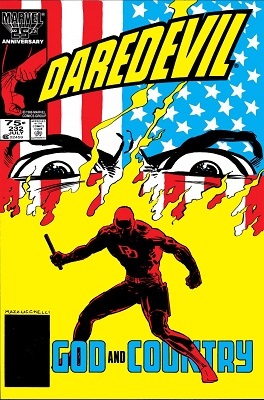 DeMatteis' brief DAREDEVIL run continues. 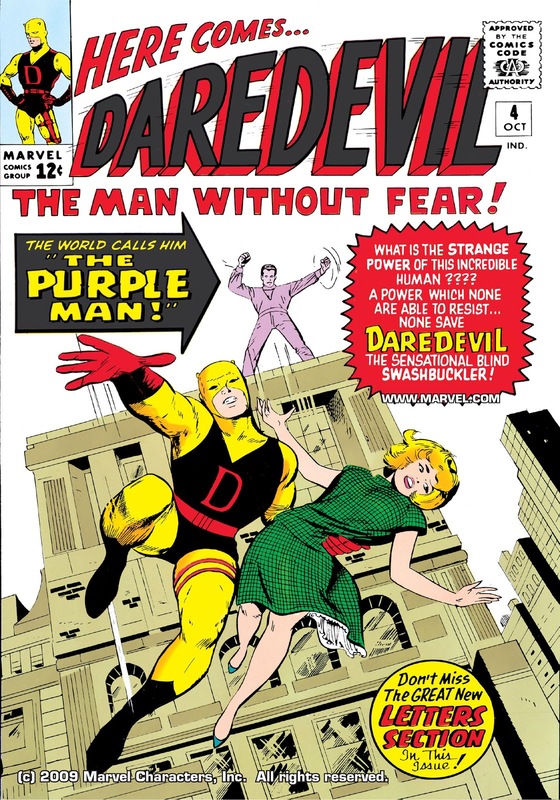 After stopping the rampaging woman called Sir, Matt Murdock has realized the man who has been running around in the old yellow Daredevil costume is... himself! That was quickly followed by remembering he accidentally pushed a prostitute out a window while trying to "get" the last of the fixer's men who killed Battlin' Jack Murdock. Karen Page and Foggy Nelson found Matt in "Jack Batlin's" apartment, catatonic and in the yellow Daredevil costume. 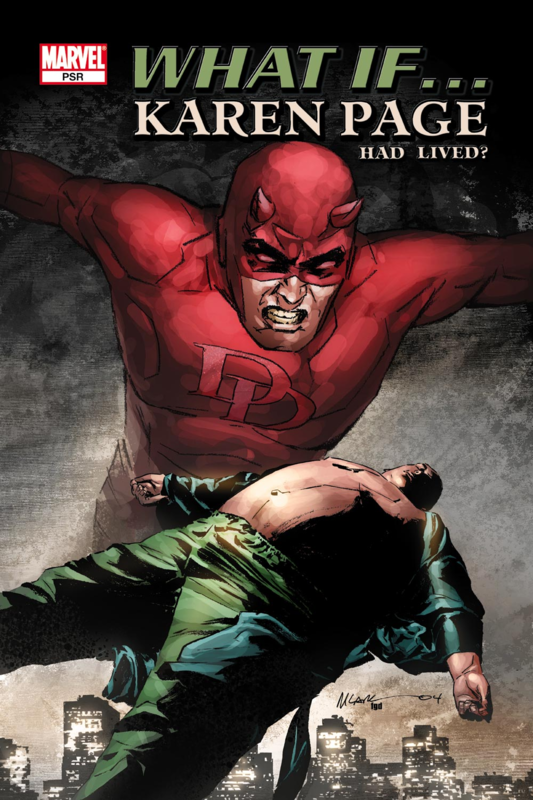 There are a lot of underrated Daredevil writers, and J.M. DeMatteis is right up there. 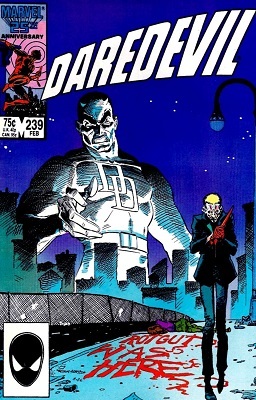 Of course, he's better known for writing other characters *and* his run on DAREDEVIL was only about 6 issues. But it was during that run that Foggy Nelson learned Matt Murdock was Daredevil *and* Matt decided to drop the "Jack Batlin" alias.